Meteor House » The Song of Kwasin & Flight to Opar package deals! The Song of Kwasin & Flight to Opar package deals! 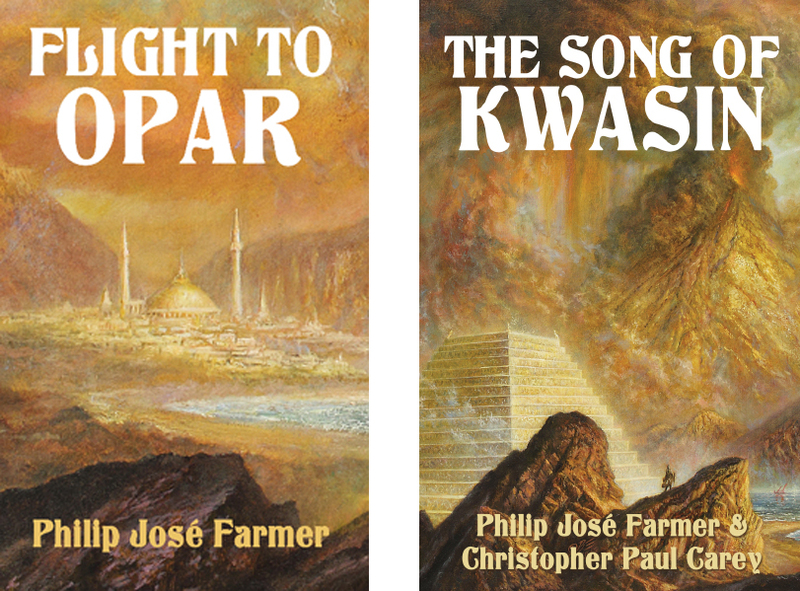 You can purchase the paperback editions of Flight to Opar (Restored Edition) by Philip José Farmer AND The Song of Kwasin by Philip José Farmer and Christopher Paul Carey together—we take $3 off AND you save money on combined shipping! These are not limited editions but a number of paperbacks are signed by Christopher Paul Carey (the editor of the Restored Edition). You can purchase the hardcover Signed Limited editions of Flight to Opar AND The Song of Kwasin together (both books are signed by Carey)—we take $5 off AND you save money on combined shipping! Meteor House’s Flight to Opar is the first ever Restored Edition with over 4,000 words restored from Farmer’s original manuscript. Meteor House’s The Song of Kwasin is the first ever stand-alone edition of the third, climatic novel in the Ancient Opar/Khokarsa series. Both books feature cover art and frontispieces by Bob Eggleton and are full of never-before-available bonus materials. And don’t forget our Scarlet Jaguar Package Deals, these are ending soon! Comments Off on The Song of Kwasin & Flight to Opar package deals!